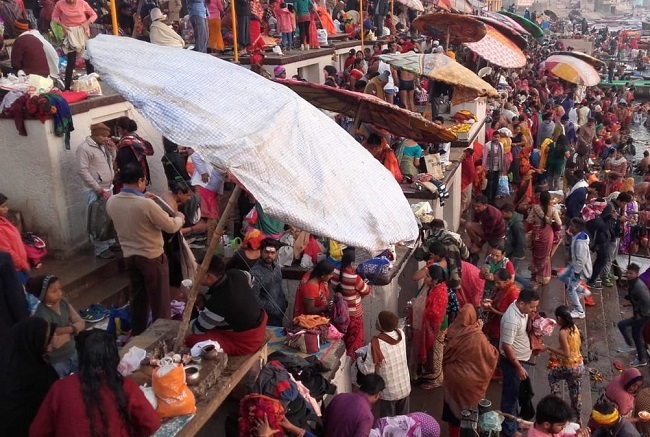 President Ram Nath Kovind and Prime Minister Narendra Modi on Tuesday greeted the nation on the commencement of Kumbh Mela, which is believed to be the world's biggest religious festival, spanning over the next 50 days. New Delhi: President Ram Nath Kovind and Prime Minister Narendra Modi on Tuesday greeted the nation on the commencement of Kumbh Mela, which is believed to be the world's biggest religious festival, spanning over the next 50 days. Taking to Twitter, the President appreciated efforts made by the Centre and Uttar Pradesh government for conducting the Prayagraj Kumbh Mela 2019. "As the Kumbh Mela begins, greetings to fellow citizens and to pilgrims from across the world. 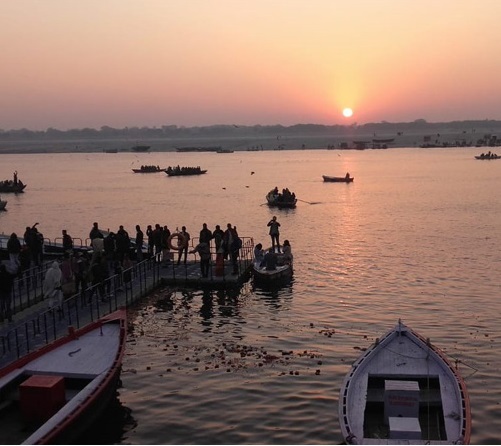 The Kumbh is an important part of India's spiritual and cultural heritage. Appreciate efforts of the Union and Uttar Pradesh govts in this logistically massive exercise," he said. Meanwhile, Prime Minister Modi tweeted: "Warm greetings of holy Kumbh Mela, starting from Prayagraj. I hope that on this occasion, the devotees of India and abroad will get to see India's spiritual, cultural and social diversity. I wish that more and more people become part of this divine and grand ceremony." 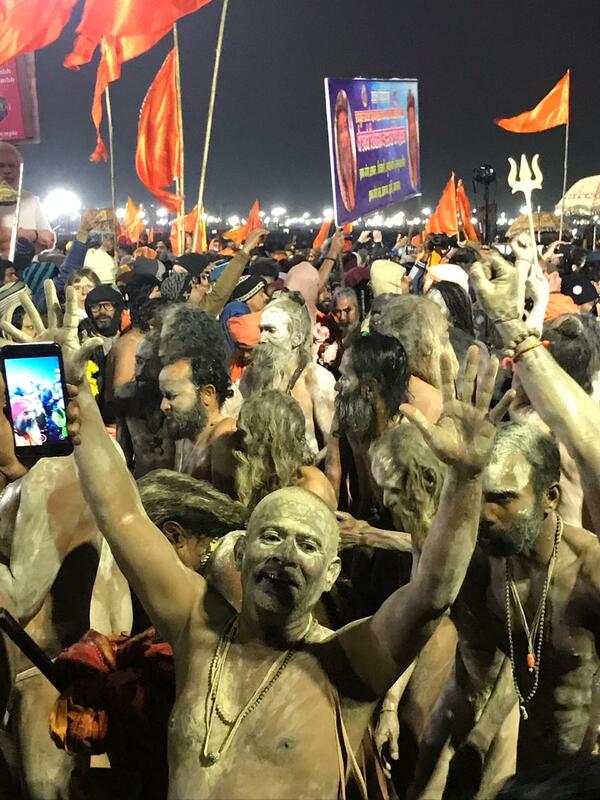 The Kumbh Mela, which is celebrated four times over a course of 12 years, began on Tuesday morning in Prayagraj on the auspicious occasion of Makar Sankranti - the first bathing day. Millions of pilgrims led by ash-smeared ascetics will take a holy dip into the icy waters during the first Shahi Snan, or Royal Bath. The first 'Shahi Snan' began at 4 am in the morning. More than 12 crores of people are likely to take part in the event. As a part of the Shahi Snan, sadhus belonging to 13 Akhadas take a dip in the holy rivers along the banks of Ganges near where the Mela takes place. The order in which the akhadas perform the holy ritual by taking a dip in the river is prearranged and according to the rules, no one is allowed to enter the holy river before the akhadas finish their Royal Bath. Security measures have been heightened in Prayagraj and surrounding areas for the auspicious occasion. Besides saints and seers, foreign tourists have also arrived to attend the event. The Kumbh Mela is the largest human congregation in the world, with over 130 million pilgrims expected to participate in the festival with the belief that taking a dip in the holy water of Ganges River will pave the way for their salvation and would rid them of their sins.